All of our Good Neighbor® fence designs are framed in to create an identical look on both sides. They are hand crafted and custom-built on site. 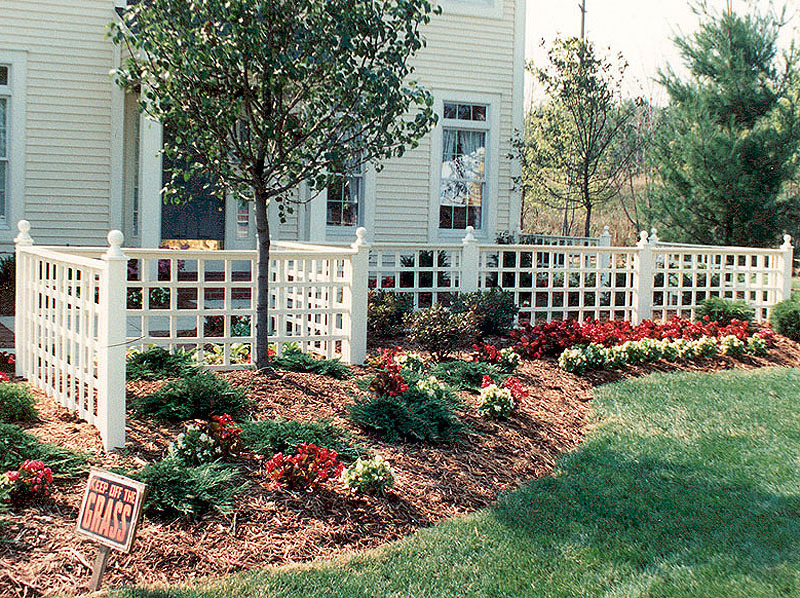 The Good Neighbor® Square Lattice Fence is constructed of rough sawn white cedar 2x2 boards, and is constructed in our shop to the customer's specifications. The framework is rough sawn Northern White Cedar, and the posts are treated MicroPro Red Pine. In the top photo the lattice is four inch on center spacing. As always, this fence is completely flexible in design. Feel free to refer to our post cap page and gate page for further options. If you are curious as to how your fence will weather if left unstained, refer to our durability page for a photo.